After the disastrous night in which the Erudite faction used mind control on the Dauntless in an attempt to wipe out the entire Abnegation faction, Tris Prior and many of her Dauntless friends are left homeless and disbanded. With Amity refusing to choose sides and Candor overpowered by threats, Tris, Tobias, and their small group of Dauntless friends must struggle to find a place in their city and discover what it was that motivated Erudite’s ruthless attack. This hunt for answers will challenge Tris as she must decide how she feels about the factions, grapple with her relationship issues, face betrayals, and ultimately decide what—and who—to trust. 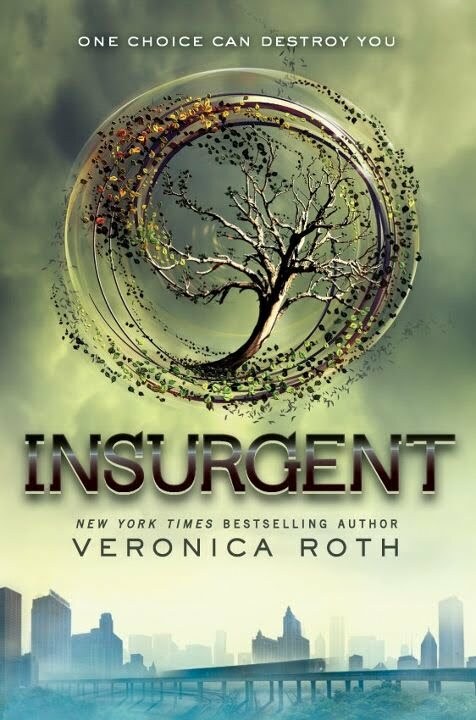 While Insurgent isn’t as instantly readable as Divergent, it won’t take long before readers will be sucked into the story. The dangers and the stigma of being a Divergent are still relevant in this book as the Erudite attempt to kill them, and other Dauntless members ostracize them as the cause of violence and social disturbance. The action never stops as Tris and Tobias move around the city constantly, battling their many enemies and searching for answers. While many of their challenges are external, they also face many struggles between themselves: they aren’t always honest with each other, and they have trust issues. Nonetheless, they fight to stay together in the middle of a city that is being torn apart. Roth further explores the concept of fearscapes and mind control, which is fascinating and provides some interesting twists and insight into the characters. The book’s nonstop action culminates in a surprising revelation that will completely change how you perceive Roth’s world and compound the suspense for the final book in this breathtaking trilogy. Cover Comments: I like the storminess of the cover and the green color--it fits the uncertainty of the alliances between the factions and their futures well! Very cool! Just finished Divergent yesterday. The list at my library for this book is 92 people deep. I am debating paying for it. How would you compare it to Matched/ Crossed by Ally Condie? @Jennifer above me - this series is definitely better than Matched IMO. I definitely had trouble getting back into this world since it's been a year since I read Divergent. But the last hundred pages or so was super engrossing. I haven't read DIVERGENT yet. Do you know how many books will be in the series? I sometimes like to wait for a series to be complete before I read it? Thank you! I was disappointed in Crossed, it was not terrible but I had hoped for more. I may just have to buy Insurgent to avoid the one year wait. I just finished this one, and just couldn't put it down. 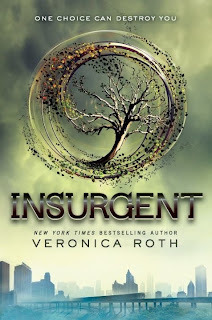 I definitely recommend rereading Divergent before picking Insurgent up, because Roth jumps right in to the action with hardly any reviewing of how the characters got where they are. But the book is like WOW. Very different feel to it than Divergent, and I think it's even more action-packed, if that's even possible. Things get....more serious. More deadly. More real, now that Tris is thrown into a greater conflict than whether or not she'll get into Dauntless. Don't get me wrong, I like the book as much as the next guy. Still, I have to wonder why they can't make a story of mind control's good side? There are lots of basic premises to choose from too - from hypnotherapy for weight loss to turning a bad guy good.